They faked disabilities. They photoshopped faces onto different students' bodies. They paid millions in bribes, feds say - all part of a scam to ensure kids from rich American families got into the nation's most selective colleges. And they got caught. 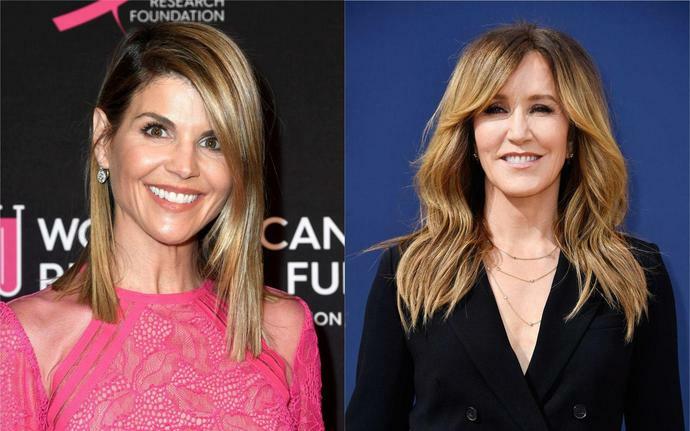 On Tuesday, federal authorities unveiled the results of a sting that could take down TV celebrities and college coaches. The scam required dozens of bribes of test administrators and relied on colleges' different standards for student-athletes. William Rick Singer, the person at the center of the scam, described it more succinctly: "What we do is help the wealthiest families in the U.S. get their kids into school." The Edge College and Career Network would help set up bribes of administrators of exams like the SAT or ACT, federal prosecutors allege. In some cases, someone else took the test for the student. In other cases, the students were given answers during the test. Their test might also be revised after the fact. To get to this point required more deception. These tests generally take place in large group sessions, though students with disabilities are allowed extra time. They also can take the test alone. That meant parents would have to lie about their children's having a learning disability. The students also had to take tests at sites where the network had control. Parents were told to "fabricate a reason - such as a bar mitzvah or a wedding," that would explain why they needed to take the test elsewhere. In one instance, a parent sent the network a handwriting sample from her child so staffers could better replicate the physical style of writing. The sample read, in jagged letters: "To whom it may concern, this provides an example of my current writing style. Thank you for your attention." Were the students in on it? Apparently no. Many had no idea their parents were paying to illicitly alter their tests. One key witness, thought to be Singer, said: "They're all kids that wouldn't have perform[ed] as well and then they did really well. ... It was so funny 'cause the kids will call and say, 'Maybe I should do that again. I did pretty well and if I took it again, I'll do even better.' "
Universities and colleges who compete in sports nationally have special slots designated for student-athletes. Typically, the academic requirements for such slots are less stringent than they would be for a traditional student. The key witness described this process as entering through a "side-door." Parents would donate to a charity known as the Key World Foundation, and that charity would then donate to coaches or to university programs chosen by coaches. The bribe in hand, the coach would then say the student was an athlete, regardless of her or his physical prowess. Funneling the bribes through a charity also allowed parents to take tax deductions. But wouldn't people know the students weren't athletes? A cooperating witness told prosecutors they would simply fake athletic credentials. In some cases, they would stage photos of the students involved in the sport. In others, they would simply photoshop faces of the students onto the bodies of actual athletes engaged in real sports. In one case, the student was said to have played for a team out of China. Clients of the network would pay between $15,000 and $75,000 per test. In one case, the family of one student paid $1.6 million for admission to Yale University. Tuition at the university along with fees, room and board runs $72,100 annually. In fall 2017, the Ivy League university, considered to be one of the most prestigious in the country, admitted just 7 percent of those who applied. No. Prosecutors said at a press conference more people might be involved with the scam than just those initially charged. And one of the cooperating witnesses said he or she had worked the athletic scam with roughly 800 families.